If you live in the soft underbelly of East Anglia like I do, it is a taste of the exotic to set off from Ipswich and find yourself in the carstone belt of north-west Norfolk. I spent most of my student years in Sheffield, and in truth there is a taste of Northern grit about these 19th century churches that punctuate the dusty hamlets of the Ouse valley. The former Methodist church in Blackborough End is a case in point. 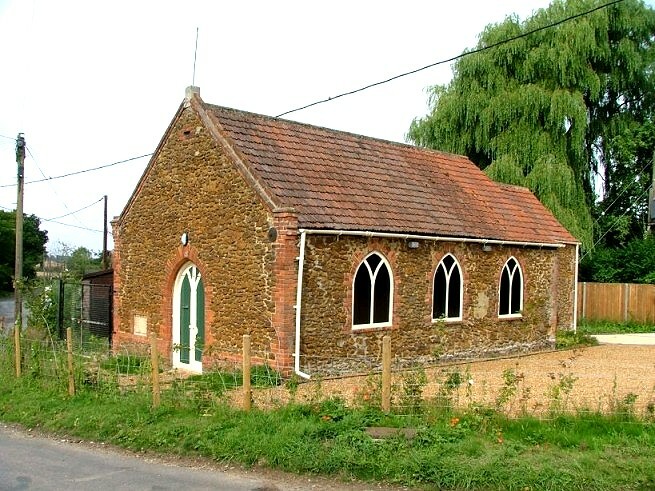 The settlement is a hamlet in the parish of Middleton, which has its Anglican church in the main village; and, indeed, its own Methodist church, although perhaps it was a different flavour to this one. 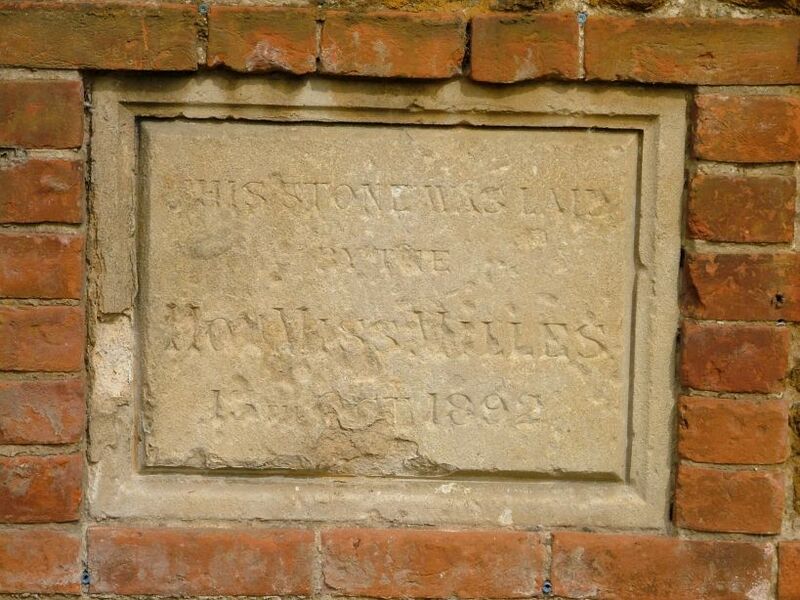 Whatever, this is now closed, and we rely on the corroding plaque unveiled by the Hon Miss Willes in October 1892 to tell us when it was built. 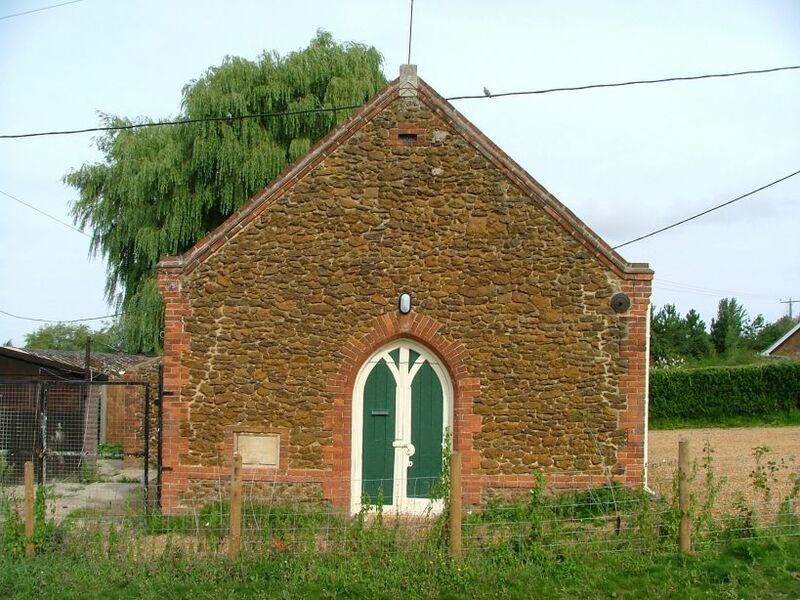 The Norfolk Records Office retains the church records from 1894 to 1995, suggesting perhaps the closing date as well. I assume that it now has some sort of public use; there is a large car park, and the windows are boarded and painted in a Y tracery style, presumably to allow a black-out for performances and the like. The brick outline to windows and doors adds a touch of elegance. The best 19th century carstone work was coursed, as at nearby Setchey, and at its finest at Welney; but here, the big clumps look as if they have been assembled by unskilled locals, which may or may not be true, but in any case this remains a poignant reminder of the medieval flint work on churches to the south and east.